"This was simply too good to be true." 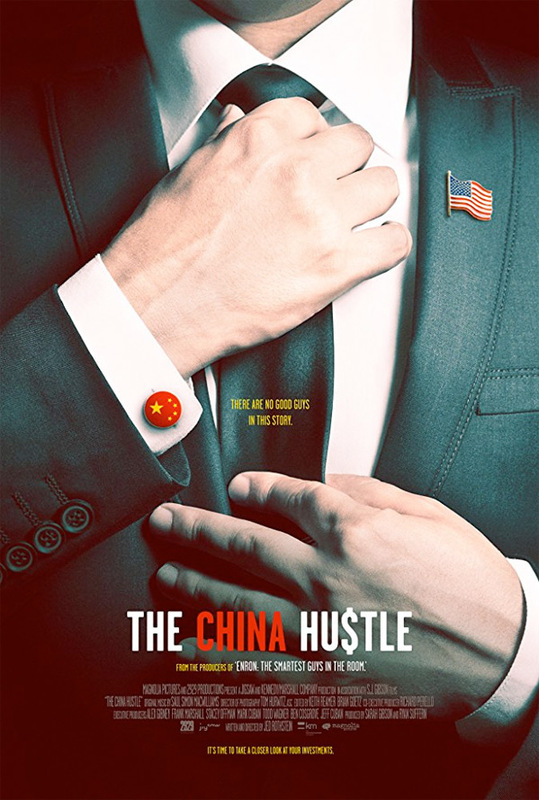 Magnolia Pictures has debuted the official trailer for Jed Rothstein's documentary The China Hustle, which premiered at the Toronto Film Festival and the Palm Springs Film Festival. The film investigates a "massive web of fraud" on Wall Street involving high-return investments in China. Even though you think you've heard of all the financial scams, there's apparently another one and this doc looks into that. "An unsettling and eye-opening Wall Street horror story about Chinese companies, the American stock market, and the opportunistic greed behind the biggest heist you've never heard of." And once you've seen this, you will definitely have heard of it and now the big question becomes - what do we do about it? How do we stop it? I'm curious to see this doc, but afraid it's going to make me upset. Take a look. From the producers of Enron: The Smartest Guys in the Room comes a Wall Street heist story about a still-unfolding financial crime so big, it has the power to affect all of our wallets. Investors on the fringes of the financial world feverishly seek new alternatives for high-return investments in the global markets, and have found a goldmine in China. But when one investor discovers a massive web of fraud, everything else is called into question. Jed Rothstein’s documentary rings the alarm on the need for transparency in an increasingly deregulated financial world by following those working to uncover the biggest heist you’ve never heard of. The China Hustle is directed by filmmaker Jed Rothstein, director of the films Before the Spring: After the Fall and Hidden Crisis: Women & AIDS previously. This premiered at the Toronto Film Festival. Magnolia will release The China Hustle in select theaters + on VOD starting March 30th, 2018.